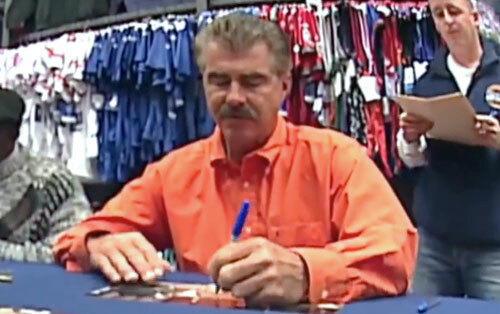 Bill Buckner is a retired first baseman who played for the Boston Red Sox and the Chicago Cubs plus the Los Angeles Dodgers, California Angels and the Kansas City Royals. Buckner was considered one of the more consistent contact hitters in the Major Leagues who accumulated 2,715 hits with only 453 strikeouts in 2,517 games. He was also a speedy baserunner who twice finished in the top 10 in the league in stolen bases. Buckner retired in 1990 and currently lives in Idaho. PFP Sports & Celebrity Talent Agency is a booking agent for motivational sports speakers and celebrities. If you would like to book MLB speakers like Bill Buckner for a speaking engagement, personal appearance or special event, you can request Bill Buckner agent and speaker information from PFP Sports & Celebrity Talent or call 800.966.1380.